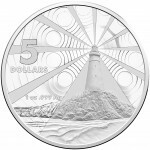 The 2015 $5 Australian Lighthouse Silver Frosted Uncirculated Coin Aids to Navigation is Str.. 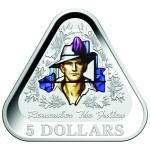 The 2016 $5 ANZAC COLOURED SILVER TRIANGULAR COIN THEMED "REMEMBER THE FALLEN". 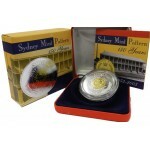 Struck in 99.. 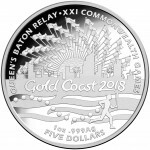 The 2017 $5 Queens Baton Relay Silver Proof Coin is struck at the Royal Australian Mint to c.. 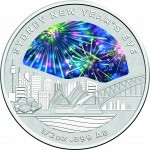 The 2018 Sydney New Year's Eve 1/2oz Silver Coin is struck by the Royal Australian Mint. 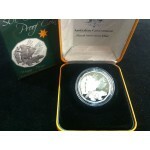 Hou..
2004 AUSTRALIAN STUDENT DESIGN 50c SILVER PROOF COIN. 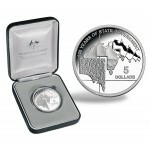 ..
2003 Australian 150th Anniversary of the Sydney Mint Sovereign Pattern The packagi.. 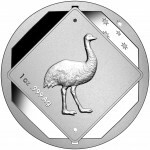 The 2015 Australian 1oz Silver Road Sign Series themed Emu is struck at the Royal Australian.. 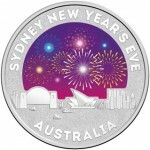 The 2015 SYDNEY NEW YEAR EVE 1/2oz SILVER COIN is struck by the Royal Australian Mint. House.. 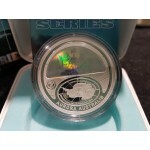 The 2009 International Polar Year 1oz Silver Proof Coin Aurora Australis is struck by the Royal A.. 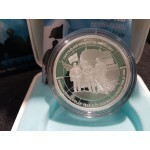 The 2009 International Polar Year 1oz Silver Proof Coin Expedition is struck by the Royal Austral.. 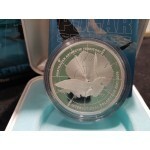 The 2008 International Polar Year 1oz Silver Proof Coin Skua is struck by the Royal Australian &n..
2007 Australian 1oz Silver Proof South Australia Coin ..